Sebastian Vettel has hailed Lewis Hamilton as a “deserving” World title but warned him Ferrari plan to come back stronger next season. 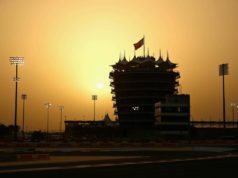 Sunday’s grand prix at the Yas Marina circuit was a snap shot of the second half of the 2018 season. 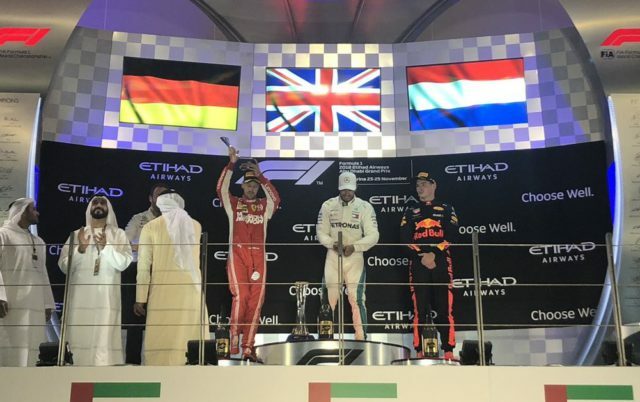 Hamilton strolled to the victory, Vettel tried all he could to halt stop him but didn’t have the pace, and Max Verstappen joined them on the podium in third place. 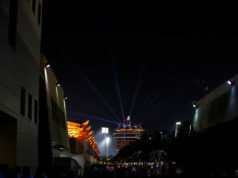 It brought an end to an interesting season in which Hamilton and Vettel raced wheel-to-wheel for the championship, although it was more wheel-to-wheel off the track than on it. The German just wishes he could have ended the season with a genuine battle against his title rival. “Lewis is the champion and he deserves to be the champion,” said the Ferrari driver. It has been a tough year. I tried everything to the last lap, catching little by little but he controlled the pace at the front. He did so with a P11 as McLaren once again struggled to give the Spaniard a car worthy of his talent.